In December quarter, Indian economy grew at 7.2 per cent on account of higher government spending, manufacturing and service sector growth. With this, India regained its status as the world's fastest growing major economy after surpassing China for the first time in a year. 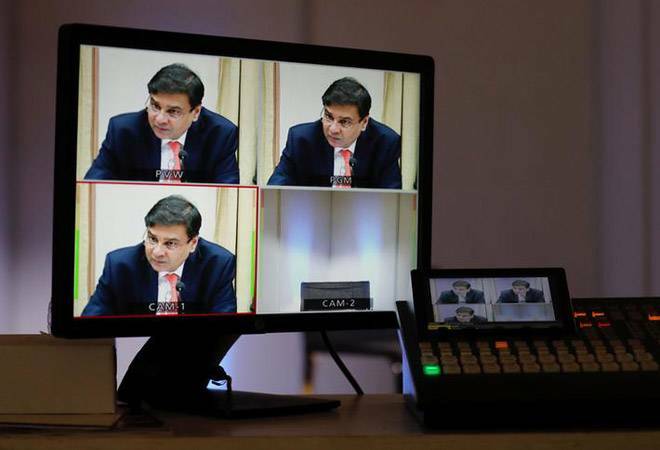 RBI Governor Urjit Patel on Saturday said that India's GDP could grow at 7.4 per cent in the fiscal year after a resilient performance in 2017-18. He said this while addressing the International Monetary Finance Committee. "There are now clearer signs that the revival in investment activity will be sustained. Global demand has been improving, which should encourage exports and boost fresh investments. On the whole, real GDP (gross domestic product) growth is expected to expand at 7.4 per cent in 2018-19, with risks evenly balanced," the RBI chief said. Patel also said that several factors were likely to influence the inflation outlook, including a possible moderation in food prices if the monsoon turned out to be normal and was supported by an effective food supply management. Last week, the International Monetary Fund had made similar projections and said that India would grow at 7.4 per cent in 2018 and 7.8 per cent in 2019. In the latest World Economic Outlook, the IMF said that with growth picking up after falling sharply in the second quarter of 2017 due to one-off factors, India in 2018 and 2019 would re-emerge as one of the fastest growing major economies. In the same week, the World Bank also came out with growth projections for India. It pegged country's growth rate for this year at 7.3 per cent and for next year 7.5 per cent. In its twice-a-year South Asia Economic Focus report, the World Bank said: "Growth is expected to accelerate from 6.7 in 2017 to 7.3 per cent in 2018 and to subsequently stabilise supported by a sustained recovery in private investment and private consumption."